The appearance of your property can say a lot about you—whether you want it to or not. 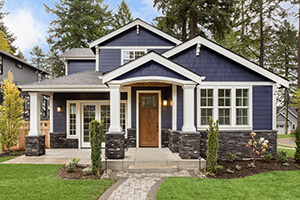 From small homes to large commercial properties, Neighbourly helps numerous homeowners and business owners just like you obtain reliable and reputable interior and exterior painting services. A fresh coat of paint can completely rejuvenate any type of space. Whether you are looking to sell, renovate, or simply add more colour to your life, our Neighbourly professionals can make all the difference.